Maya Angelou, Poet, Activist And Singular Storyteller, Dies At 86 : The Two-Way Angelou refused to speak for much of her childhood and revealed the scars of her past in her groundbreaking memoir, I Know Why the Caged Bird Sings. She opened doors for black and female writers. Maya Angelou answers questions during an interview in her New York apartment in 2002. 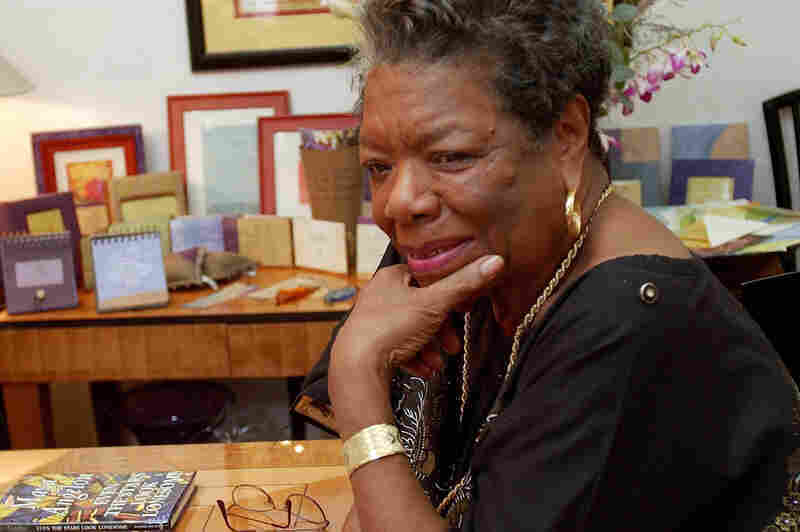 Angelou died Wednesday at 86. 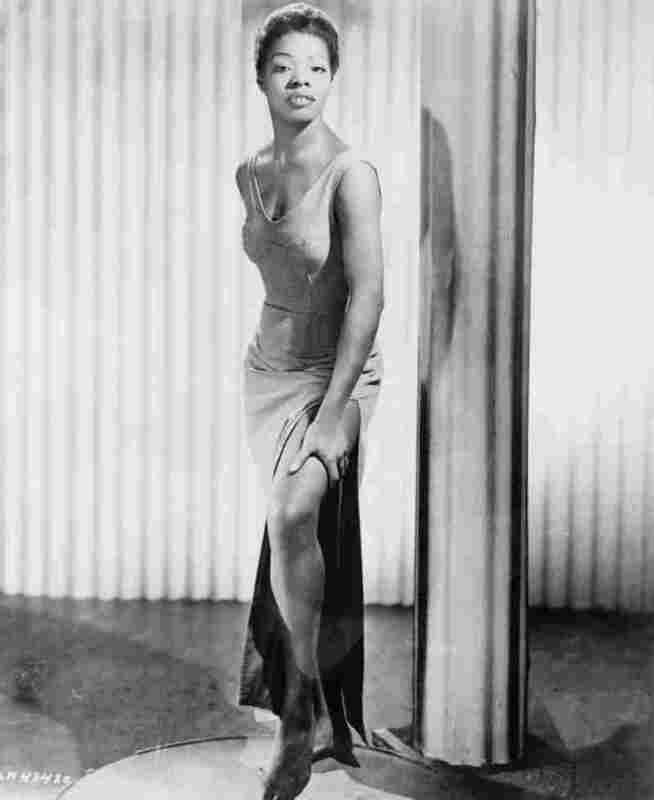 Angelou began her career as a dancer and writer. She was part of the Caribbean Calypso Festival in 1957. Angelou became Hollywood's first black female movie director on Nov. 3, 1971. 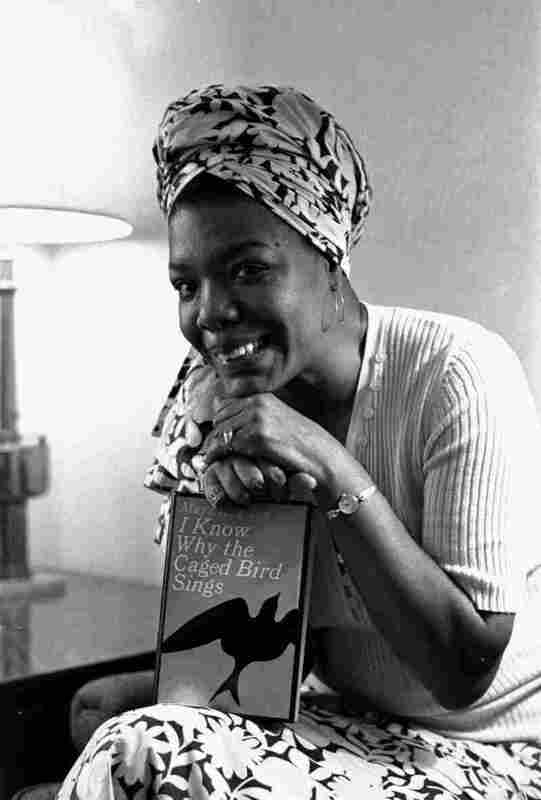 She also wrote the script and music for Caged Bird, which was based on her best-selling 1969 autobiography. She had been a professional singer, dancer, writer, composer, poet, lecturer, editor and San Francisco streetcar conductor. 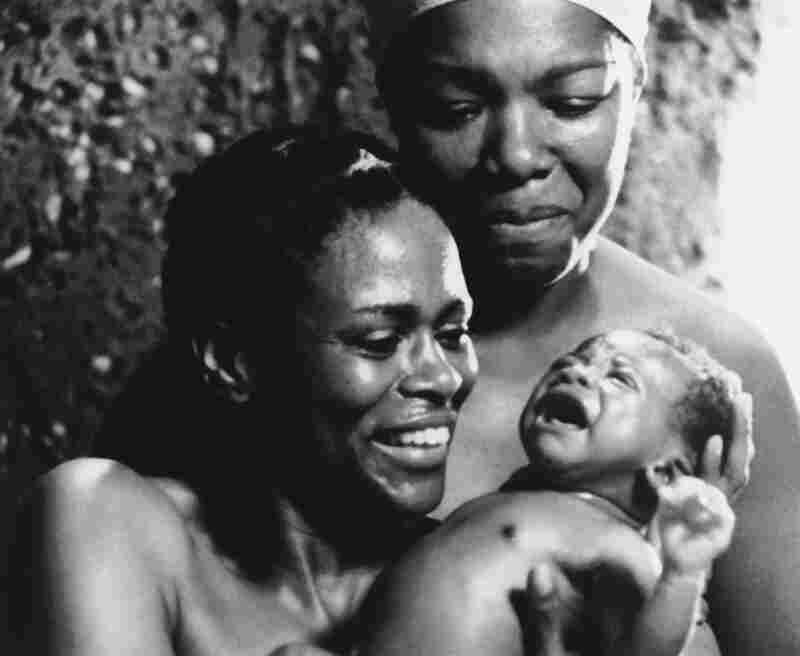 Angelou (right) received an Emmy nomination for her role as Nyo Bobo in the 1977 miniseries Roots. 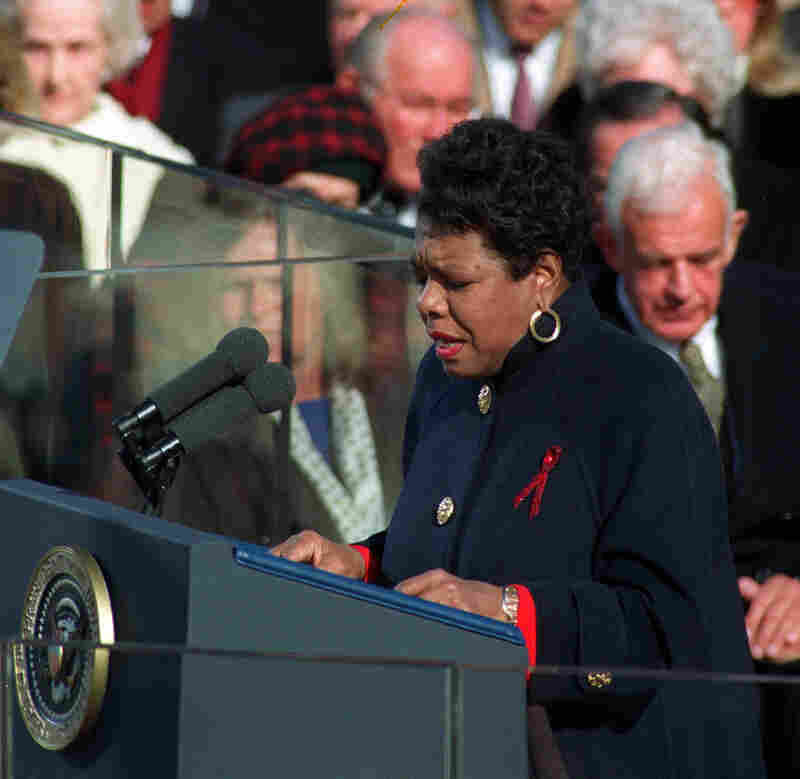 Angelou recites her poem "On the Pulse of the Morning" during President Clinton's inauguration in Washington, D.C., on Jan. 20, 1993. 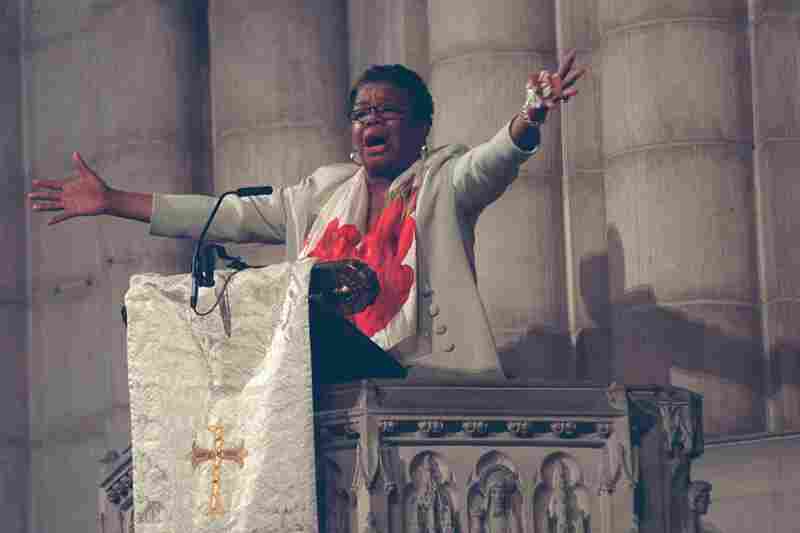 Angelou speaks during a memorial service for Betty Shabazz, the widow of Malcolm X, at Riverside Church in Harlem, N.Y., on June 29, 1997. 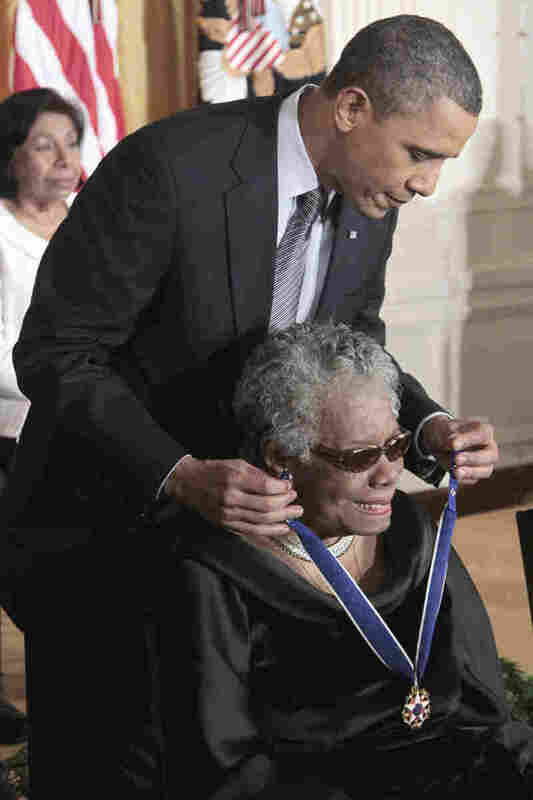 President Obama presents a Medal of Freedom to Angelou during a ceremony at the White House on Feb. 15, 2011. 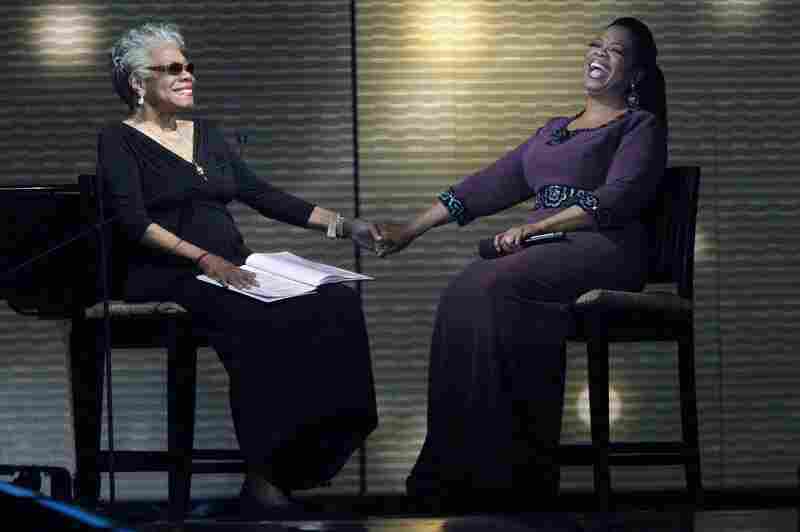 Angelou (left) and Oprah Winfrey laugh during a star-studded taping of "Surprise Oprah! A Farewell Spectacular" on May 17, 2011, in Chicago. 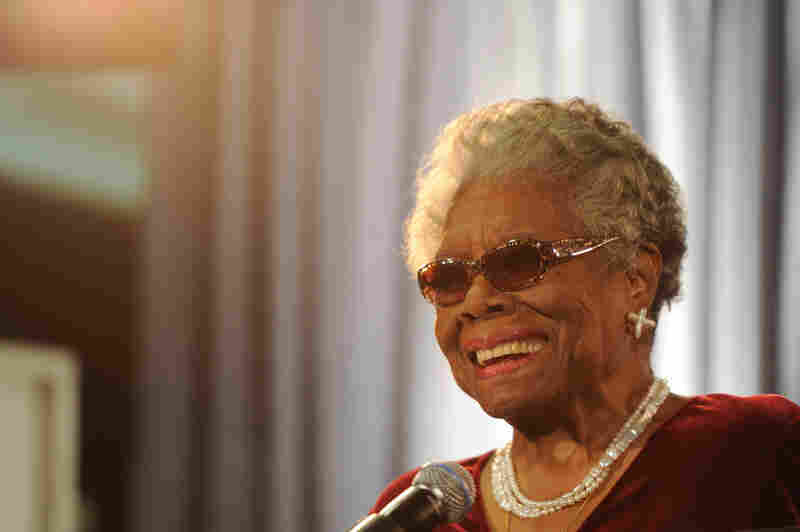 Angelou attends The Maya Angelou Center for Women's Health and Wellness Forsyth Medical Center in her hometown of Winston-Salem, N.C., on May 12, 2012. "I come from South Central Los Angeles," he says. It's "a place where we learn to puff up our chests to make ourselves bigger than we are because we have so many forces knocking us down — including some of our own. And so that poem ... it pumps me up, you know. ... It makes me feel better about myself, or at least made me feel better about myself when I was young." Singleton used Angelou's poems in his 1993 film Poetic Justice. Angelou also had a small part in the movie. Singleton says he thinks of Angelou as a griot — a traditional African storyteller. "We all have that one or two people in our families that just can spin a yarn, that has a whole lot to say, and holds a lot of wisdom from walking through the world and experiencing different things," he says. "And that's the way I see Dr. Maya Angelou. She was a contemporary of Martin Luther King, a contemporary of Malcolm X and Oprah Winfrey. She transcends so many different generations of African-American culture that have affected all of us." Joanne Braxton, a professor at the College of William and Mary, says Angelou's willingness to reveal the sexual abuse she suffered as a child in I Know Why the Caged Bird Sings was unprecedented at the time. The critical acclaim and popularity of the book opened doors for both African-American and female writers. "Maya Angelou brought about a paradigm shift in American literature and culture," Braxton says, "so that the works, the gifts, the talents of women writers, including women writers of color, could be brought to the foreground and appreciated. She created an audience by her stunning example." For Braxton, the world will never be quite the same without Angelou. "I love her," she says. "She's beloved by many, including many, many people who have never met her in person, and who will never meet her in person — but she has extended herself that way, so that her touch extends beyond her physical embrace. That is truly a gift, and we are truly blessed to have known her through her presence and her work." Angelou once said she believed that "life loves the liver of it," and she did live it, to the fullest.